FTI Consulting is one of the world’s top consulting firms, with offices in 27 countries, across six continents. 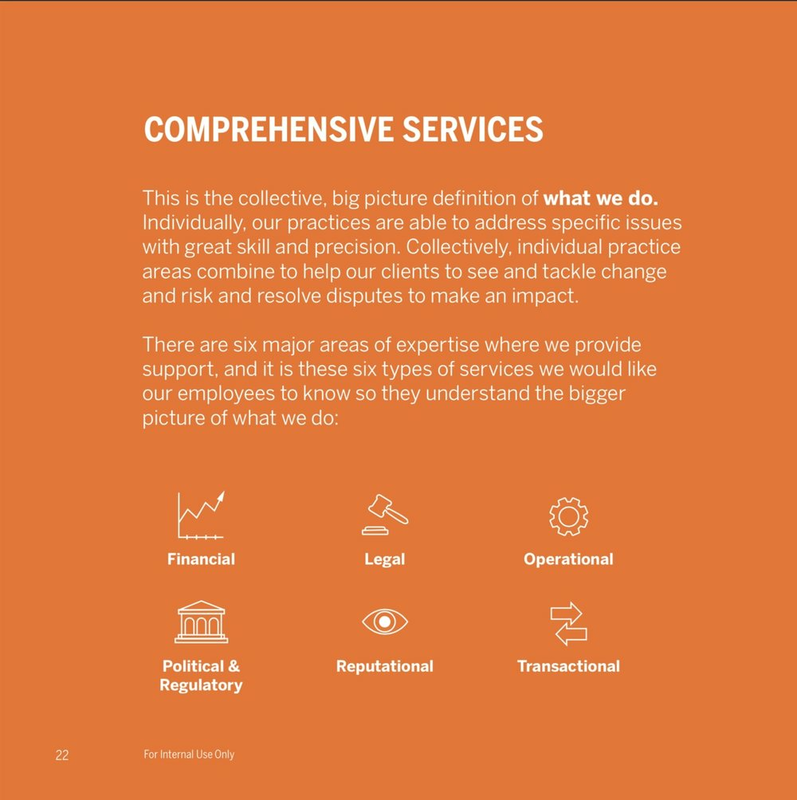 With over 50 discrete offerings, spread across five major practice areas, FTI’s challenge was to understand the common strategic themes across a diverse global customer base. Over a series of engagements, we utilized a range of both qualitative and quantitative research tools to better understand the common threads, and important differences, across FTI’s many market segments. This insight was invaluable in helping formulate a strategy to enhance FTI’s brand reputation and support the development of a healthy business development pipeline. This foundational insight work formed the basis of new, more focused, internal brand messaging aimed at aligning a global workforce around key sources of differentiation and competitive advantage.